A home that we have furnished with lots of attention to detail is, of course, primarily to inspire ourselves. But our friends, family and work colleagues should also feel comfortable in our homes and maybe a little bit impressed by our style too! It's not just the rooms that they will see or spend time in, like the kitchen and the living room, that plays a role however. In fact, it is the entrance area that will welcome them and thus should inspire and delight. It is often not very easy to find the perfect decor and design for the entrance. This is why today on homify, we have put together some creative ideas and found numerous forms of inspiration for your home. From the rustic flair to the more elegant and luxurious ambiance, there is an entrance for every single one of you! Sometimes it is just a few small details that can make a fantastic entrance. In this design we can see how simple decor radiates warmth and charm. These include the flowers on the table, the lamp that provides this space with light and a unique mirror on the wall. The colourful cushions also highlight this space. 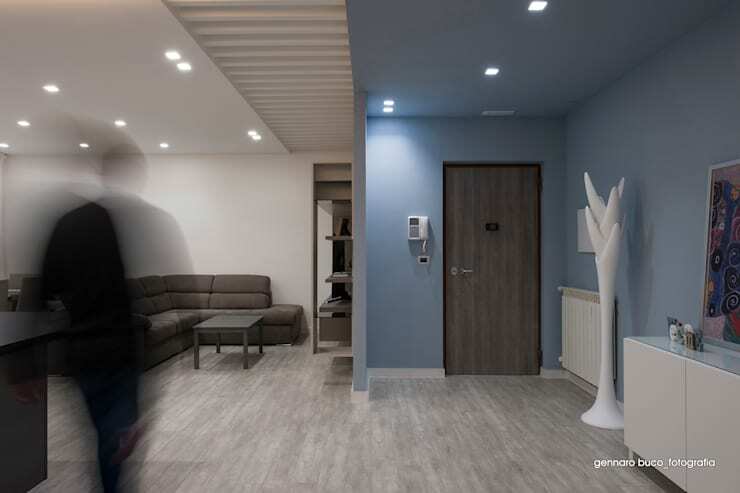 The fact that you have plenty of your room for your entrance does not necessarily mean that you have to supply it with numerous pieces of furniture. 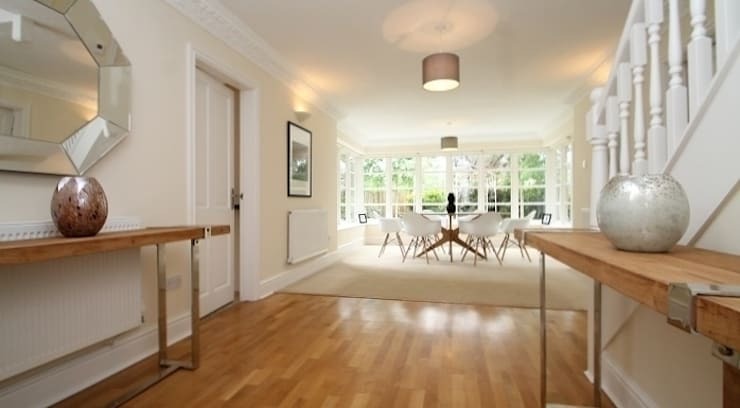 In this example by interior decorators Heatons Home Styling, we can see how two consoles have been arranged in the space that leads into the living area. With one or two vases as well as a beautiful mirror, the look is complete. Do you want to surprise your guests with the wow factor? 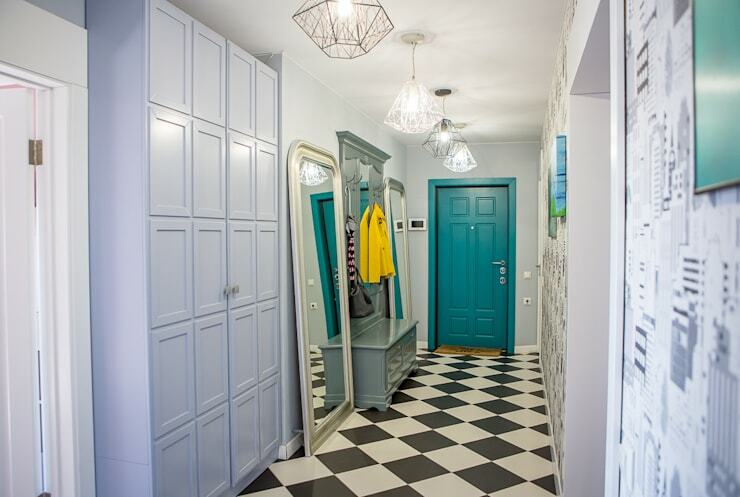 For this, all you need is an extraordinary floor, patterned wallpaper and a harmonious play with colours. This will inspire a good mood whenever someone walks through the front door! 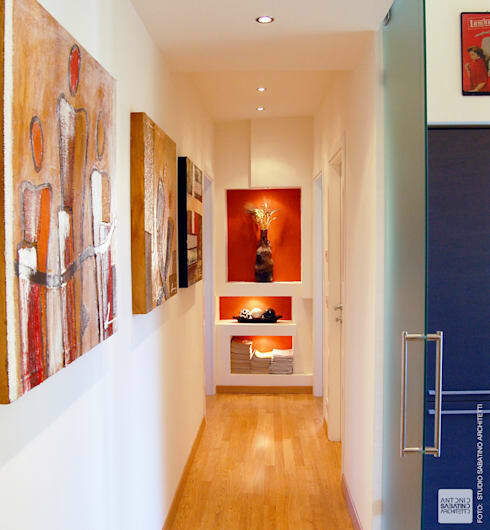 A large chandelier or a special pendant light can gave your entrance a whole new atmosphere. Also have a look at these dazzling lighting ideas for modern homes. 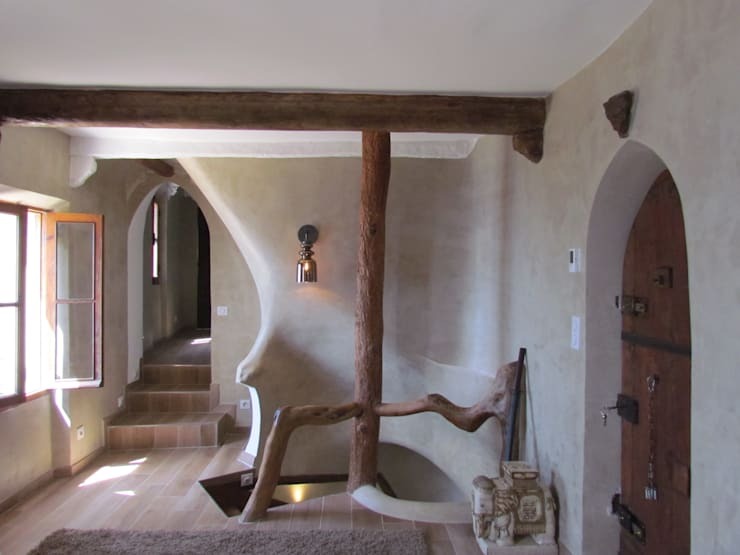 Like an exotic journey to the distant lands, this entrance is simply extraordinary. Yet the recipe is quite simple: living accessories such as wicker baskets or traditional wooden decorations have been used to create a unique and ethnic look and feel. 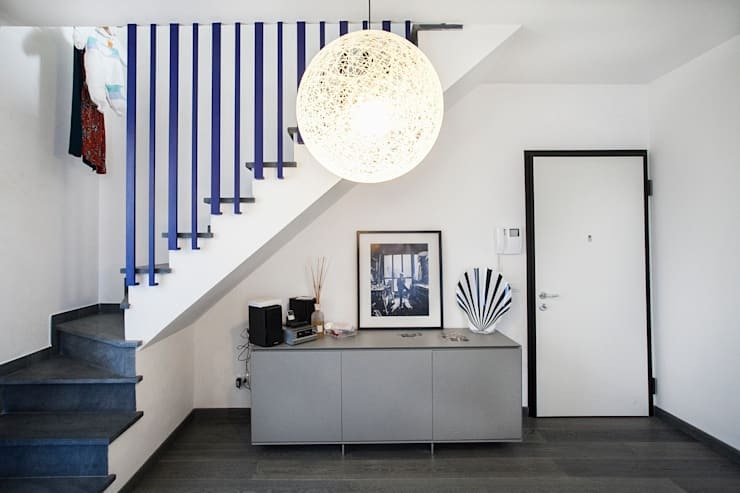 For those who like a Scandinavian-chic look and feel, you need a good mix of purism and traditional furnishings. A must is wooden furniture as well as some special decor that stands out. In this example, the sculptures on the wall do exactly that! A few plants or flowers on the window sill subtly introduce some natural colour to the room. A new coat of paint can also give your entrance a refreshing look and feel. Remember that you don't have to equip the entire room with a new colour, simply paint a single wall. For the perfect entrance area, furniture can be suitable not just because it is beautiful to look at but also because it is practical. 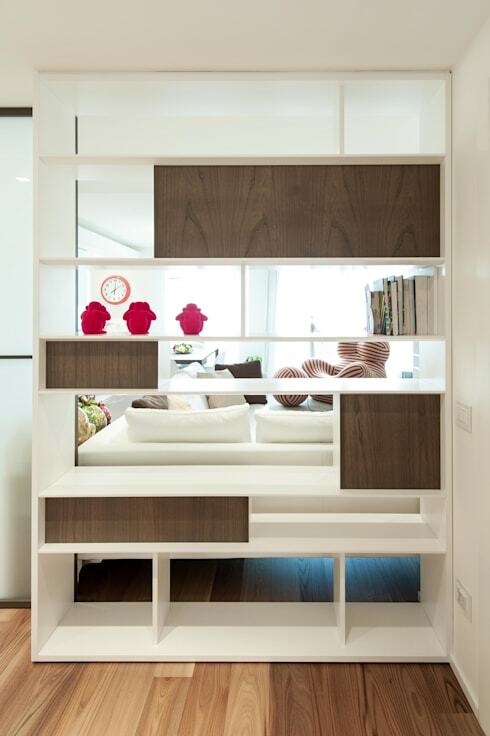 In this example, we can see how a shelf has been used as a room divider, separating the living room from the entrance. At the same time, it is very chic! There is hardly any decor that is as stylish and impressive as photographs or paintings on the wall. Give your entrance a personal touch and create a warm and lively ambiance. If you want an extraordinary design for a classic entrance opt for contrasts. 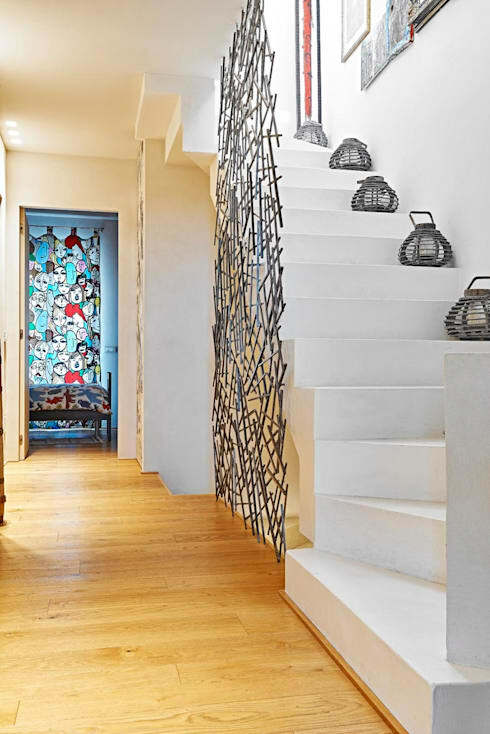 In this example, we can see how modern, decorative elements made from metal bring a very inspiring touch to the home that beautifully enhances it. If you like a nature-inspired style of furnishing, then create a warm and cozy atmosphere with wood, which welcomes guests in warmly and invites them to linger. Whether you opt for wooden beams, decorative objects or window frames made of wood, they can create a beautiful country style charm. For the relaxing holiday feeling, we bring you this beautiful example. 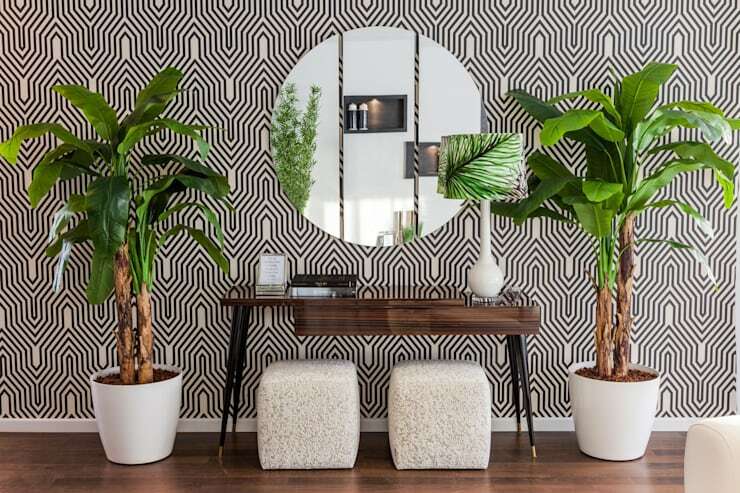 The individual accessories such as the lamp inspire a tropical look, which is enhanced by the two large plants. This truly feels like you are on a trip to the jungle as soon as you step through the door. 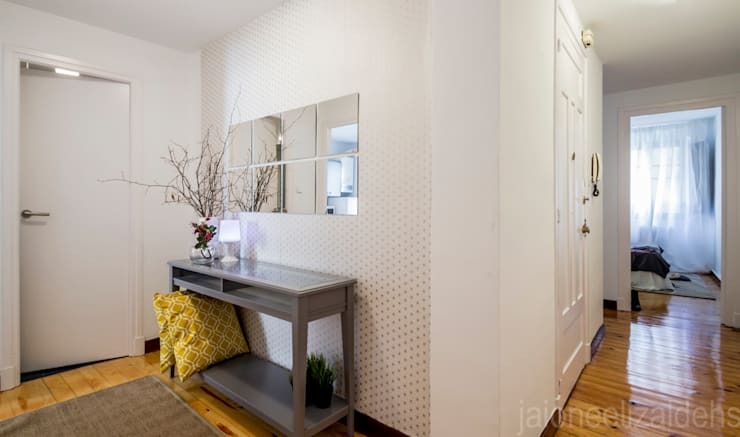 Another highlight of this space is the patterned wallpaper, which stands out for its edgy style. If you've enjoyed these entrances, you'll love these 10 terrific ideas for an excellent entrance. Which entrance would you choose?